The question seems simple enough. What word do you hear in the audio -- "Yanny" or "Laurel?" The answer, as it turns out, is not so simple. And a four-second recording is dividing -- and confusing -- internet users around the world. Late Monday night, a Twitter user named Cloe Feldman posted the short recording on social media. She wrote, "What do you hear?! Yanny or Laurel?" People answered quickly. Most were sure that they were correct. Those who heard differently, many said, were either crazy or seeking attention. One Twitter user answered, "Is this a joke? 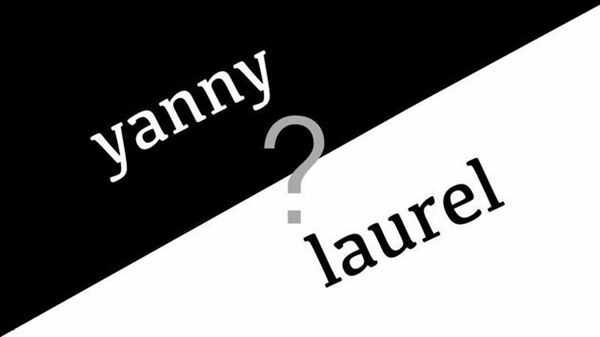 It very clearly says "yanny" and in no way could it possibly be misheard as "laurel"...am I losing my mind? Yet, another wrote, "Laurel! How is anyone hearing Yanny?" Some said they could hear both words, including American politician Sherrod Brown of Ohio. In a Twitter video, he said he first heard Yanny, but later heard Laurel. He joked that he is "always willing to hear both sides of an issue." Many are comparing "Yanny vs Laurel" to the debate in 2015 about "The Dress." You might remember it. A woman posted a photo of a dress she liked on social media. She asked whether the dress was blue and black or white and gold. And so began a viral discussion about a piece clothing. Cloe Feldman has a popular YouTube account and over 200,000 followers on Twitter. That helped the Yanny vs. Laurel debate spread on social media. It soon became a trending topic on Twitter and Facebook. As of Wednesday, Feldman's audio file has over 12 million views on Twitter. But Feldman herself did not create the audio, or even start the debate. She played the site's pronunciation audio file for the word. But, instead of hearing "laurel," she heard "yanny." Hetzel asked her classmates what they heard and "we all heard mixed things," she told Wired. She decided to post the audio file on her Instagram. Later, another student put it on the social news site Reddit, according to Wired. From there, it seems, Cloe Feldman took it to Twitter. Ashley: Jonathan, you might have heard the internet has lost its mind about this Yanny vs Laurel debate. Can you help us out? Jonathan: I hope I can. So, there are a number of frequencies at play. The higher frequency -- at the higher frequency -- you will hear the word "Yanny." At the lower frequency, you will hear the word "Laurel." Ashley: So, what is frequency? Jonathan: So, frequency is the number of sound waves per second produced by any piece of sound. Ashley: So, why are some people hearing the higher frequency and some are hearing the lower frequency? Jonathan: It all depends. It depends on, on how you're listening to the piece of audio. Because it will sound different if you're listening on your phone versus whether it's coming through your car stereo or whether it's coming through your home computer. And it is a low-quality audio file. It's actually "Yammy." Not "Yanny." It's "Yammy." It's an "mm." It's "Yammy." If you're going to hear anything that begins with a Ya. Ashley: So you're adding a new possibility to the debate? Jonathan: But it's not. It's "Laurel." It is "Laurel." It's "Laurel." But you can pick out a "Yammy." She'll put the blame on us if it turns out badly. The success or failure of the matter depends on your own effort. 5.But it's not. It's "Laurel." It is "Laurel." It's "Laurel." But you can pick out a "Yammy." The detective-constable picked out the words with difficulty. I will pick out three new plays particularly. 6.It all depends. It depends on, on how you're listening to the piece of audio. It all depends. I have certain doubts about it. It all depends. Anyway I'm not sure how many days off we'll have.